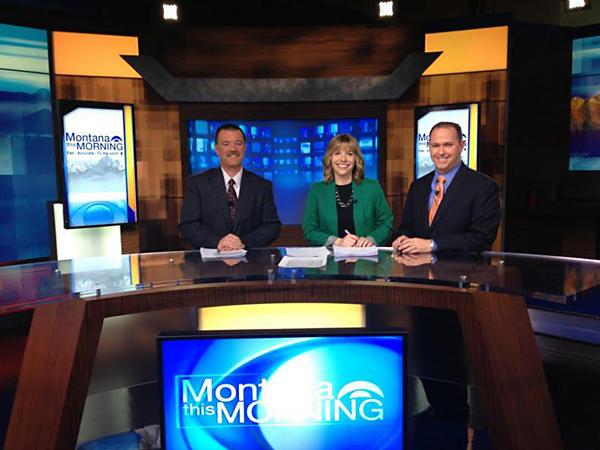 Bozeman, Montana, based KBZK-TV debuted a new set from Devlin Design Group this week. 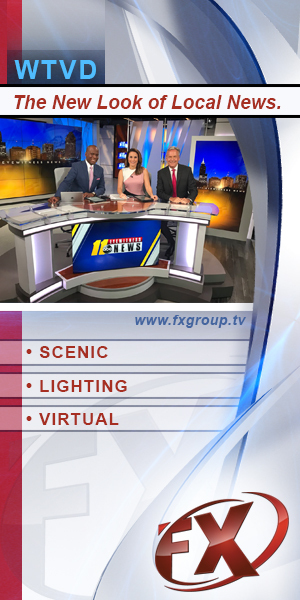 The set launched April 25, during the stations 5:30 PM newscast to positive feedback from viewers. The new KBZK-TV news set features a main anchor desk, a weather center and a multi-purpose presentation area including several rolling cars with technology to provide versatility in presenting the news. The new set features a blend of technology and design, incorporating two 70” monitors in the multi-purpose area, several rolling kiosks with large monitors and a rear projection screen behind the main anchor desk which is surrounded by LED color changing back lit graphics. In keeping with the Montana look and feel, the set graphics are comprised of sweeping mountain ranges which are back lit with LED color changing lights. The set finishes include warm olive wood, sleek acrylics and cool metallics.